Save 5% with this coupon. Enter code KKSAVE05 at checkout. 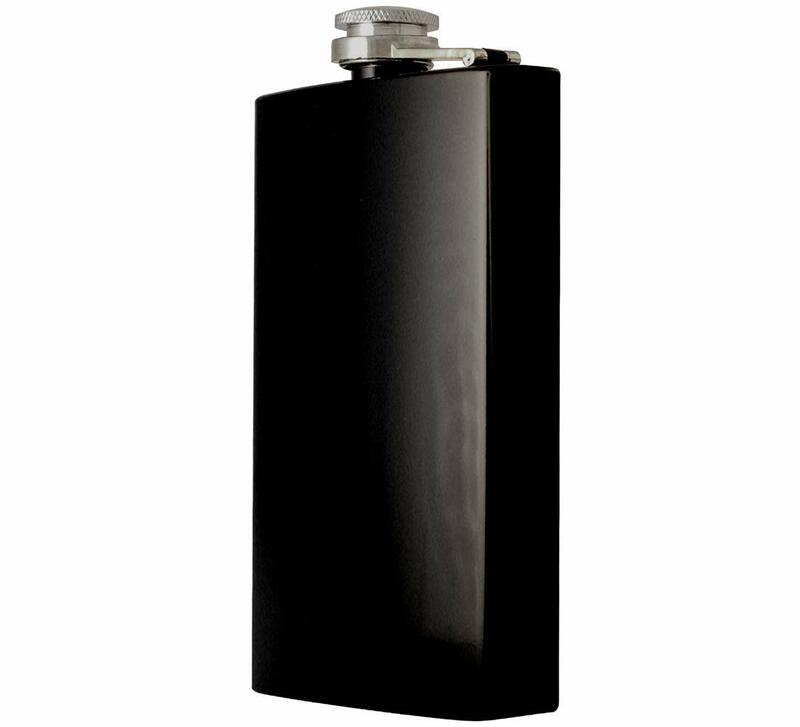 CONVENIENT & DURABLE – Our strong and majestic 8oz gloss black flask is perfect for all of your alcohol and maybe non-alcohol needs. With its construction of stainless steel, its smooth gloss powder coated finish, and perfect printing, these will last for a very long time. Its durable construction will help it from crushing under pressure and will continue to maintain its sleek shape without scratching. SAFETY FIRST – Our flasks are safe for the dishwasher which means you don’t have to deal with adding to that already huge pile of dishes in your sink. You can drink without a care and when you finish all your alcohol, and yes, you better finish it all, you can simply drop it in your dishwasher. If for some reason you want to put it in the microwave to heat up, don’t. It’s metal. Its not safe for the microwave. 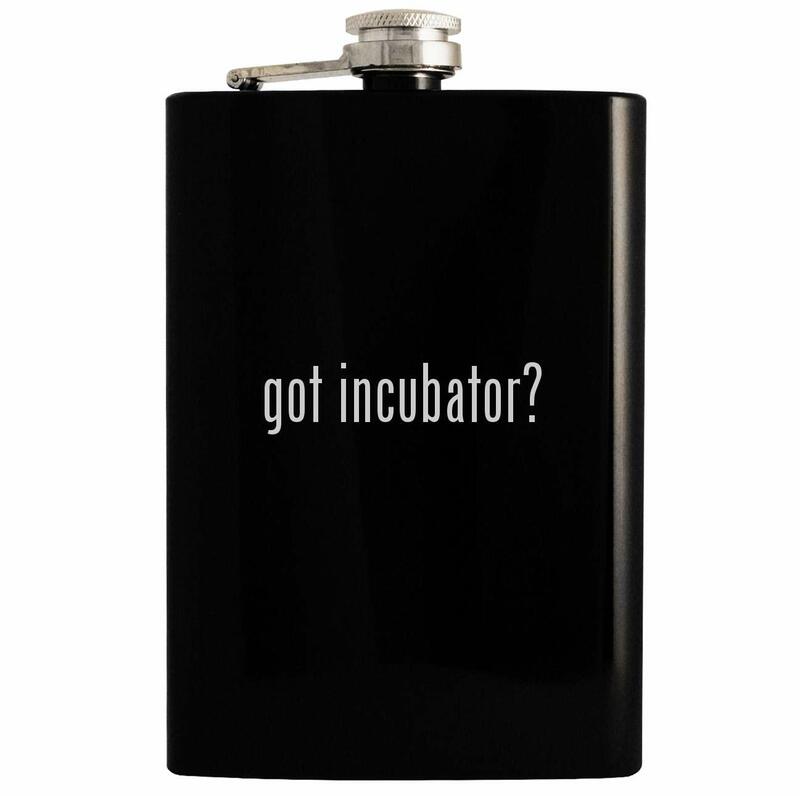 Need a gift for your boss, spouse, friend, neighbor, mailman, or alcoholic in your life? 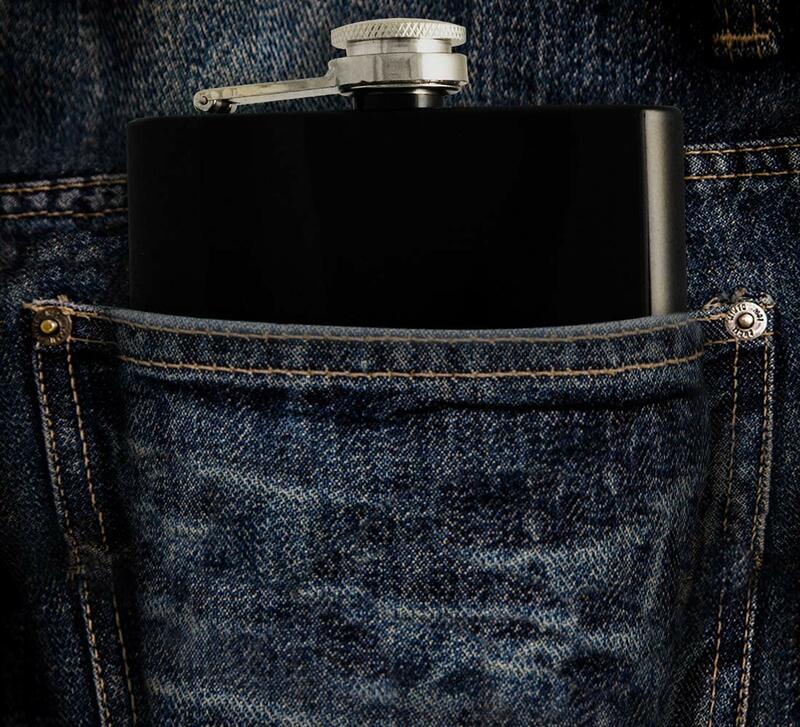 This hip flask makes a great choice for a gift! It features a classic styling made from a newly designed mold for maximum durability.